A few years ago, the smartphones evolved and it changed our lives. The world of financial markets was not aloof from it. Today, there are tens of financial apps that are competing head to head for the top slot. But India’s IIFL Markets is beating them hands down. Let us see what is keeping IIFL Markets ahead of its peers and why investors are betting big on this app. IIFL made one tough choice – which was to maintain the balance between size and features (more on this in succeeding points). This app has got far more features than any other financial app. It is one of the very few apps that has got live tv, widgets, and sheer ability to let users customize the overall experience. 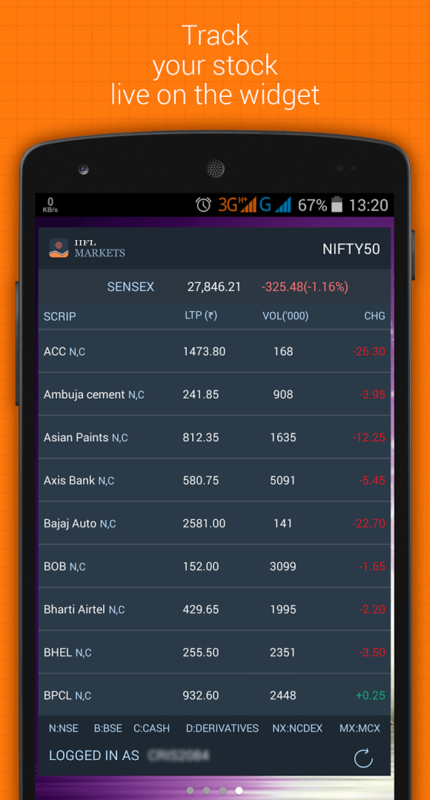 : IIFL Markets has committed to a lot of resources on the app. For instance, it foots the bill of over 50 professionals who work to provide reports to its users for free of cost. These reports are generated by IIFL and are not sourced or linked. That adds up the total value proposition and hence a number of downloads. :No matter how good app one builds, it is important to not just pull up the trigger and first practice. IIFL Markets has followed that principle. Before launching the app, they soft launched it to fix bugs and used a wide array of resources to customize and improve the user experience. There were very few apps that even attempted it – let alone stick to testing for enough time. :This thing gives IIFL a straight lead over global apps. One special thing to note here is that even users who don’t have a trading account with India Infoline do have an option to sign up with one tap. Something unprecedented when it comes to Indian apps. Besides these 5 key factors, there are many other subtle factors that have contributed to the apps growth and an impressive 80%+ positive feedback vindicates that. A 4.2 IIFL rating is much higher than 3.8 rating of a few apps. That is enough to prove one point, which is, in the field of stock market app, it is an Indian app which is leading the way. Global apps would need a lot of improvements to catch up with it and make it to the heart of Indian users.